–NY Magazine had an extensive feature about the upcoming Woody Allen film Whatever Works, which stars Larry David. The article focuses on the disappearing art of Jewish humor with an obvious focus on Allen and David. -Wanna read some funny tweets? Check out this list of comedians on Twitter, though it fails to include the awesome @azizansari. –One of the members of the alt-hip-hop group Subtle was awarded over $18 million in a law suit against Ford stemming from a 2005 auto accident. -First came news that Archie (of Archie Comics fame) was going to propose in an upcoming issue, then came the disappointing spoiler: it’s Veronica. –Videogum presents: “The Five Worst Parallel Parking Videos of All Time.” Worst=best. Last night was the premiere of “Late Night with Jimmy Fallon.” I was there to live blog it for your enjoyment. Hey, there’s Conan! That’s a nice touch for the opening. 12:38 AM Gervais from “Survivor” joke! The exact opposite of topical. Still, funny. 12:39 AM The Roots just rock. If nothing else, the cool kids will watch for them. 12:41 AM Kind of a Conan-y monologue in terms of Jimmy’s interplay with the audience. He’s (predictably) a little nervous/jittery. 12:42 AM Continuing to be nervous, Jimmy is pacing. A lot. 12:43 AM Some good jokes in that monologue–Microsoft stores are like Apple stores, except when you ask the staff a question they freeze; a woman was pulled over while breast feeding and charged with both reckless endangerment and having an open bottle. 12:44 AM “Slow Jamming the News”-this is a great use of The Roots, and, in particular, their MC Black Thought. I hope this is a recurring bit, it’s the funniest thing so far. 12:46 AM Some new music from the band, they reportedly wrote over 200 new tracks for the show because NBC wouldn’t buy the rights to their old stuff. Fallon’s hair is totally short, btw. 12:49 AM It’s a very clean, very simple set. 12:55 AM The items are a lawn mower, a printer/scanner/copier, and a bowl of goldfish-overall, pretty disappointing given the setup. 1:02 AM Jimmy is asking Robert De Niro questions with one-word answers to get started. 1:05 AM De Niro is just a terrible guest; maybe they figured it could only get better from here. Not super funny, and also basically the same bit they did on “SNL” about 8 years ago. 1:13 AM “Space Train”-a prefilmed bit with Jimmy and De Niro. It’s not bad, and this is probably better than anything they do live tonight outside of the monologue. 1:19 AM Jimmy is reminiscing with Justin Timberlake about “The Barry Gibb Talk Show” sketch they did on “SNL.” I get a felling this is going to happen all week-Jimmy talks about “SNL” with guests who’ve been on the show: Tina Fey, Cameron Diaz, Donald Trump, Drew Barrymore. 1:25 AM After talking a bit about a somewhat-intriguing show Timberlake is producing for MTV, he and Jimmy are now doing John Mayer impressions. 1:27 AM And now a bit of “Michael McDonald.” Maybe JT should have hosted this show. 1:32 AM Van Morrison is top notch. I think we’ll have a lot better idea after next week’s shows of what we can expect from Fallon on a nightly basis. There were some decent bits here-“Slow Jamming the News” is quite good, and “Lick It for Ten” has potential. Fallon struggled with the guests, but so did Conan until about 2002 or so. Seriously, it takes most hosts forever to get comfortable just chatting with celebrities, making the boring ones interesting and the highlighting what’s fun about the weird ones. 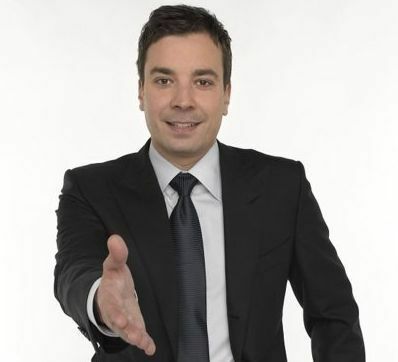 One thing Fallon has going for him is his tech-savvy. The show already has a pretty good website/blog, Fallon tweeted during the taping, and he’s having the guys from Diggnation on the show next week. They’re clearly targeting the college demographic that was so huge for Conan’s success, and they just might find it. How long it’ll take Jimmy and company to find it is another matter, but there’s enough interesting pieces here (The Roots, the announcer, the monologue jokes) to keep folks tuned in while the show finds its footing. -First things first: Puppy Bowl V, well, happened, and Gabe over at Videogum absolutely nailed it. Be sure to watch the video as well as read it; trust me, it’s so worth it. –A lot has been said about that “MacGruber” “Pepsuber” Pepsi ad, and SNL head writer Seth Meyers cleared it up in a radio interview this week; basically, Pepsi approached SNL about doing a spot, and the writers/performers got a cut of that $3 million while Lorne Michaels did not. You can hear the whole interview in the second half of this podcast. -Of course Sony picked up this movie. 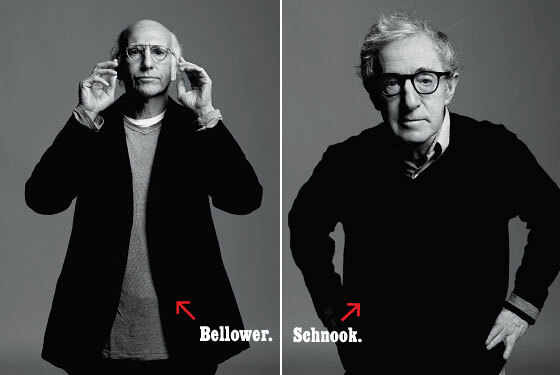 And you thought Larry David and Woody Allen were neurotic on their own. -The Brooklyn/Minneapolis band everybody love/hates is releasing a live album and documentary. Awesome. -Now that our own Adam has taken the dive into Twitter, it may be advantageous to find out more about famous musicians’ own Twitter accounts. At this point, you either love Morrissey or you don’t, okay? And yes, nothing in his solo career can compare to The Smiths, but, frankly Mr. Shankly, why would it? He’s on a bit of a late-career resurgence as of late. Give a listen to his latest single before a double-decker bus crashes into you.